Georgioupolis, a lively seaside resort, built in an amazing area full of green only 38 km away on the north-east of Chania city, is another exciting area to visit when in Chania. 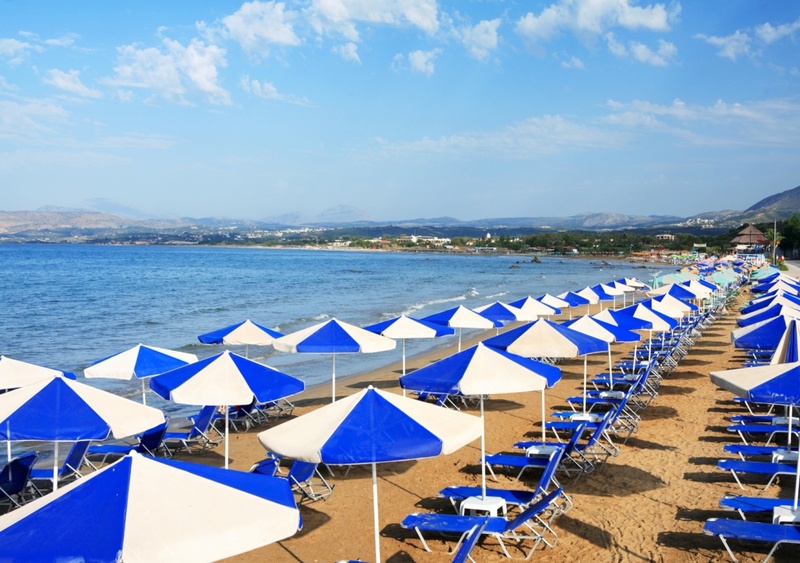 Georgioupolis is a tourist resort, fully developed, with 515 permanent residents. The village is found at an area full of trees and green, by the river of Almyros. Just at this point the port of the village is located and you will see that the whole place becomes more vibrant and joyful filled with people. The river of Almyros is a very scenic area to visit and you would definitely enjoy a walk by the river as it is romantic and very interesting at the same time. In Georgioupolis resort you will find all the comforts that you can imagine making sure that you get all the attention that you deserve. 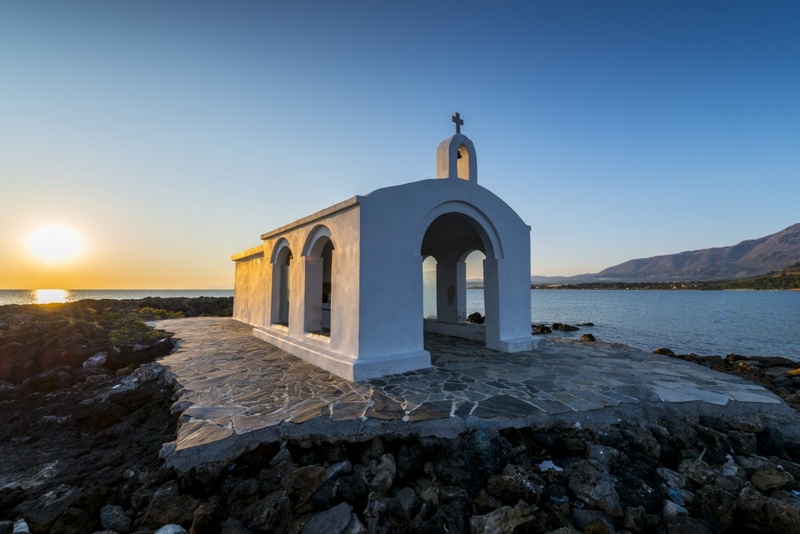 The town of Georgioupolis situated near the border of Rethymnon Prefecture to the east and the river Almyros meets the sea at Georgioupolis, forming a little lake creating an amazing scenery of great ecological importance. Besides the area’s significant ecological importance will make you love their diverse scenery of green landscapes with eucalyptus trees along the road and in the main square, and a row of cypress trees. This amazing seaside town in Chania Prefecture, approximately 38 km southeast of Chania, in West Crete will make you adore the country side as well as Cretan beaches. There is nothing that you will not find in this part of Chania. An amazing green and endless beach stretches along the most amazing scenery that will undoubtedly take away all your worries and will remind you how beautiful life actually is. Spend your time at the most amazing beaches in one of the most amazing areas of the island and cease the day while living your myth in Greece. Find information about selected Hotels, apartments and rooms in Georgioupolis to choose the perfect place for your accommodation.